There’s a spot on my left adrenal gland. Before you begin jumping to conclusions, let me explain. We aren’t positive that this lesion is even cancer. This is a spot that has lit up on the last few of my scans, and first made it’s appearance in October. Since then, I’ve had several rounds of chemotherapy. Throughout it all, this unknown mass has remained. It has grown slightly in size over the last seven months, but doesn’t seem to be affecting my body’s function. When I was first told of the news, I didn’t even know what an adrenal gland was. One of our close friends is a doctor in this field and was able to explain to us in non-medical terms what we were dealing with. The adrenal gland is essentially a hat on top of the kidney. It’s purpose is to produce hormones such as stress and adrenaline. Each kidney gets it’s own adrenal gland, so, naturally we all have two. This lesion could potentially be one of three things. A benign non-functioning tumor. In which case, it’s a mass that serves no purpose and isn’t affecting my adrenal function. A benign functioning tumor. This is a tumor that is releasing it’s own hormones like stress and adrenaline. A malignant tumor. Also known as, cancer. Of course, we won’t definitively know what this spot is until it is biopsied and sent to a pathologist. However, based on my history in Cancerland, we can conjure up an idea of what it may or may not be. Most likely we can rule out it being a benign functioning tumor. If this were the case, I would be experiencing symptoms like heart racing and bloodshot eyes, which I’m not. It would be obvious if this mass was functioning on it’s own, and from what we can see, it’s not doing much. There is a chance that this could be another recurrence. However, taking my history of malignancies into account, although this lesion has grown, it has not increased as rapidly as my other recurrent tumors. If you recall, my first recurrence was a softball-sized tumor that developed within three months. That mass grew rapidly and aggressively and even began affecting my hormonal functions. In addition to the difference in growth, my body has proven to respond very well to chemotherapy. If this were a malignancy it would be quizzical to have had no response to treatment. For these reasons and more, we believe this is not a malignant tumor. This leaves the possibility of it being a simple mass that serves no purpose other than to annoy us by showing up around my left kidney. A little pest that has chosen to, for whatever reason, hang out on my adrenal gland. Matt and I strongly believe that a non-functioning tumor is what’s lurking inside of me. We have abundant faith that this is not cancer. Arguments can be made for both sides — malignant and benign. Yes, based on these last two years, an unknown mass can lead many to immediately think cancer. However, just as likely, it could be something completely unrelated. Not everything inside of me has to be marked by this disease. Regardless of what this lesion is, it will need to be removed. Cancer or not, I don’t need something harassing my adrenal gland. Therefore, I will have surgery at some point. Honestly, I am not fazed in the slightest. I’ve already been through three major surgeries in the last couple of years. I’m familiar with the process and recovery. I know all too well about the discomfort and pain. Surgery no longer scares me. I trust that God has my life in His hands; Just as He orchestrated what has been, He orchestrates what will be. This morning I venture back into the hospital to lay on another hard table while a loud spinning machine takes several images of my insides. This scan will be a full body PET scan and will show all of my internal organs, including my brain. Compared to the CT scans that I receive every three months, a PET goes deeper in it’s imaging and is far more comprehensive. We may or may not learn more information from this scan. This step is necessary to make sure there are no other masses growing elsewhere in my body. Next week a new doctor will be added to our team, and we will meet with him to discuss surgery. He will go over the hundreds of documents that have chronicled my medical journey and review each scan image that has been taken. He officially has a new patient that comes baring a lot of medical baggage, and it’ll be interesting to hear his opinion on my case. For now, we hope and pray. As I mentioned, Matt and I are not fearful, but full of abundant faith. We aren’t anxious, nervous, or even the slightest bit afraid. Standing in faith, we believe this growing lesion is not cancer. 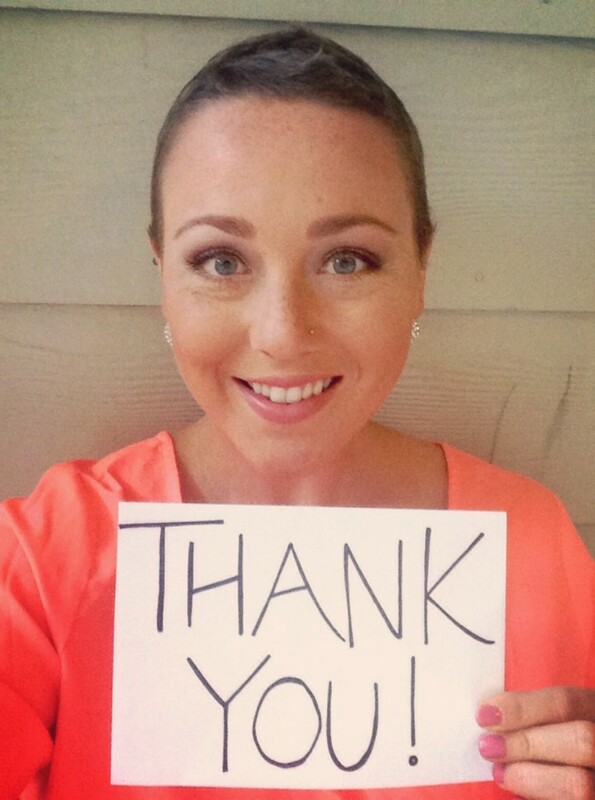 We believe that I am still cancer free and will remain so for the rest of my life. We believe that the chapter of cancer has closed and we are entering in to the next season of our lives. We are not only believing, but declaring this. God is so mighty in His power, we are calling upon Him to perform a miracle. He beckons us to have faith, to knock so He can answer, and to trust in Him. Therefore, while believing and trusting in Him, we are asking that this mass that has shown itself on my scans for seven months, will not appear on my PET scan. We are praying that whatever this spot is, will vanish. I actually laugh as I pray, because I can picture my team of doctors jaw-dropped as they read the report and view the images, and see the once 2.6cm mass completely gone. So, while I don’t have the best news to share, I don’t have the worst news either. The results from my CT scan are merely a speed bump on the journey. This is a moment that the enemy is attempting to lead us to question God. I know he is asking us, “Are you sure you’re healed?” He wants to lead us down the path of emotional and spiritual destruction, but we stand against it. We aren’t entertaining the thoughts and fears that try to creep in. We won’t open a door until God tells us to. For now, we are firm in our faith, and believe in healing. We ask that you would stand with us and believe for a cancer free report. Every week I receive emails from readers sharing how I’ve helped them through their own journeys. Readers that tell me how inspiring, raw, authentic, and brave I am to share my story so openly. Men and women alike express to me their own struggles, spurred on by the openness in mine. Emails stating my writing is unique, clear, true, and often humorous. With every one of these emails, letters, comments, and notes, I am amazed… and grateful. I’ve always been a writer. Not paid. Not professionally. In fact, I didn’t even go to school for writing. From my adolescent years, I’ve always kept journals — Jotting down my thoughts and emotions as a way to express my life. I’d pass notes in school to dear friends, pour out my teenage heart in puppy-love letters to old high school boyfriends, and send apology notes to my parents in attempts to say, “I’m sorry.” As my husband and I started dating, I kept a journal specifically for him, sharing my dreams and goals for our future. On our wedding day, I gave him this journal and invited him to begin writing our story with me. Writing has been buried within my soul long before I can remember. A word is the deepest, most powerful and expressive way to convey thought. Words can inspire and help, or hurt and destroy. Words are a delicate tool that we have been gifted, and heed should be taken when using them. As I’ve grown, writing has presented itself boldly on the forefront of my life. Upon diagnosis, I was called so strongly to share my journey that I don’t think I could have chosen not to. I was meant to write. At the time, I had no understanding of why. No reasons for sharing my little journey through life and cancer. No idea of what publicizing this story would do for me and for others. I obeyed that calling, if only for the fact that I could update friends and family on the latest additions in my treatment. After all, writing on a public blog was significantly easier than spending six hours on the phone like I did the day I was diagnosed. Little did I know what was to come from an act of obedience. While it’s been natural for me to express my heart in words, it hasn’t always been easy sharing my largest struggle publicly. There have been times when I didn’t feel comfortable sharing how sick I felt. Times when I was fearful of what my readers would think of me if I told them I felt defeated. Moments of uncertainty in sharing my heart on the loss of my fertility. Moments when I didn’t want to write about cancer at all. And great sadness as I’ve had to share of my past recurrences with this dreaded disease. Yet, no matter how hard it has been, it’s been equally as rewarding. … Because of you, the reader. My support team. The ones who have followed my journey from the beginning and have trusted my process. Those of you who have rallied around me, encouraging me from miles away. Those of you who have cried in your homes for me and for the many others fighting cancer. Those of you who have held my hand and prayed fervently for my healing. The many that I have yet to meet, who are actively standing and believing alongside me. And those who are fighting a battle similar to mine, sharing your stories with me through emails. Not one of your comments, emails, notes, and even tweets go unnoticed. I read every single one, and try my hardest to respond to them all. I am touched that you take the time out of your busy lives to stop and read my words. To check in with me and see how I’m doing. To pray and encourage me through the high and low points. To notice my husband who is fighting equally as hard beside me. I am humbled that you would find interest in my story, in my process, and in my journey. Of the hundreds of emails I receive, there are quite a few that stand out and affirm my decision for being so open. A man in Germany explained that he has never been able to put into words what he felt through treatment until he read my posts. A woman who has been struggling with the loss of her daughter finds encouragement through what I write about. A man once shared with me that after the tragic and unexpected passing of his loved one, he physically hadn’t been able to get off the couch until he read my story. Parents have written to me expressing their loss of a child. Women share feelings about their own loss of fertility, and the encouragement and camaraderie that my raw emotions gave them. Many express that, through the words of this blog, they have found their strength and identity in who they are beyond cancer. Hearing that my willingness to be open about my fight with cancer is encouraging people from across the world, inspires me greatly. The encouragement you receive from me is equally received by me from you. When you write and share what you have learned through your own story, you bless me. When you tell me that you are encouraged to be more than just another statistic, you bless me. When you stand in agreement and believe with me that your diagnosis does not define you, you bless me. When you read my story and keep up with the latest twist in my roller coaster of life, you bless me. When you share my story with your friend or family who is struggling, you bless me. When you celebrate with me in the great times, and weep with me in the dark times, you bless me. Thank you for following my story, and for inviting me into your homes through your TVs, computers, and radios. Thank you for being patient and understanding of me when I pour out the hidden places of my heart. Thank you for rallying beside my husband and I as we enter into new seasons in life. Thank you. I look forward to what’s to come! Not only am I a writer, but I’m also an avid reader. Bookshelves line an entire wall in our home office, and books are found resting from ceiling to floor. 90% of those books have been read by me. I simply can’t get enough. Literature has woven itself into my inner being, and I can’t possibly fathom a world without books, stories, and adventures. Kasey begins Raw Faith by sharing that she did not want to write this book. “It took God punching me in the gut with cancer to shake off my Christian anesthesia and wake me up from a ‘playing church’… and pacifier kind of faith.” Shortly after the release of her first book, Named by God, Kasey faced a life-threatening cancer diagnosis. One that shook her faith to the core. A diagnosis and subsequent battle that had her wrestling with God Himself. 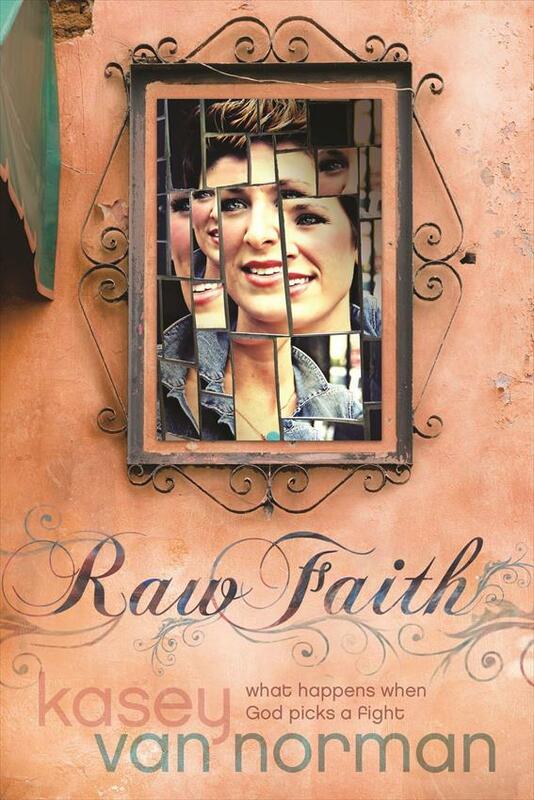 In Raw Faith, Kasey exposes her heart to the reader in ways many rarely have the courage to do. She challenges us to “face our faith” in moments when pain and suffering come upon our lives and shares that her own personal journey left her faith feeling “like a gaping wound, raw and exposed and tender to the touch.” By asking questions and sharing different perspectives, she encourages us to take an inventory of our own faith condition. Through a combination of intimate journal entries and solid biblical references, Kasey encourages the reader to allow God to press into our gaping faith wounds. She shares personal moments when she was at her lowest, “bald-headed and weak as a kitten, dry-heaving into a bucket,” and calls us to change our perspective. God has allowed us to endure hardships in order to set us up for His greatness and faithfulness to be displayed in our lives. Our story, just like Kasey’s, has purpose. More purpose than we may ever understand. Raw Faith confronts the raw issues. Kasey calls them the “toxic D’s”- denial, depression, and discouragement. She expresses a sentiment that I can wholeheartedly understand and agree with: “The most toxic side effect of my cancer diagnosis wasn’t what was happening in my body; it was what was happening in my head and my heart.” She gives the reader tools and references to combat these real life issues, and helps us realize that we are not powerless against them. 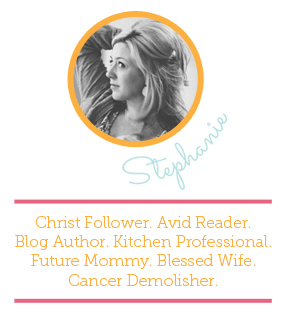 Raw Faith is not only for those of us facing a cancer diagnosis. Anyone who has ever encountered hardship, suffering, or difficult circumstances can glean an incredible amount of encouragement and hope through the chapters of this book. This is a memoir that you will not want to put down. You will laugh and cry as Kasey exposes the hardest trials in her life and the lifelong lessons she has learned through them. She tells it like it is– candid, poignant, and unbridled. Her words will evoke thoughts and emotions that you haven’t felt before. Kasey’s candid expressions will inspire you to be candid in your own journey. Your faith, hope, and joy will be redefined as you dive into Raw Faith. Raw Faith: What Happens When God Picks a Fight is a story about meeting the real Jesus, facing your faith, and confronting your fears. I highly recommend this book for anyone facing illness of the mind, body, or spirit and those who are simply feeling stagnant in their faith life. Keep your eyes peeled for the Raw Faith bible study available this month.